Today I am going to share books for your youngest kids. The ages of these books range from baby to kindergarten. They are a variety of board books and picture books. The topics range from travel, family, transportation and more!! I hope you will check them out for your little ones!! We will start with a book for babies. It is Who? 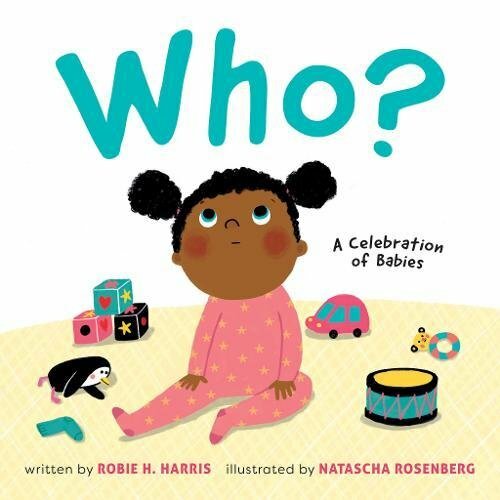 A Celebrating of Babies by Robie H. Harris and illustrated by Natascha Rosenberg. This book is a multicultural book. The pages show different babies and often a family member. It goes through members like Dada, Mama, Doggie, Birdie, Gramma, Grampa, Lovey and Kitty. There are different races throughout the book and one includes twins. This book is perfect for babies. Babies always love seeing other babies. The words are simple and are introducing words and pictures of different animals and family members. 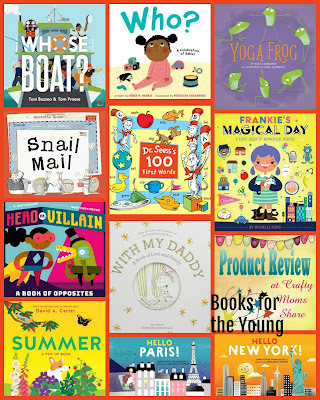 For more books for baby, be sure to check out these posts. 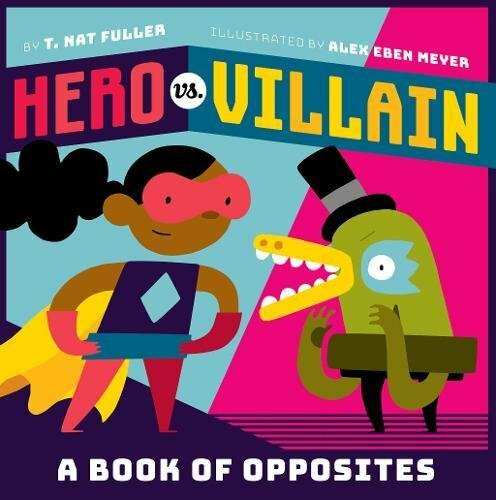 Our next book is Hero Vs. Villian by T. Nat Fuller and illustrated by Alex Eben Meyer. This book comes out on June 12, 2018. It is a very simple book of oppoisites. The pages start with the hero and the villian. There is a word on each page with the picture. The hero words are positive and the villian's words are the opposite words. In the end the two become friends. The suggested ages are 3 and up. The pictures are colorful and fun but also simple. There are more books on opposites here. 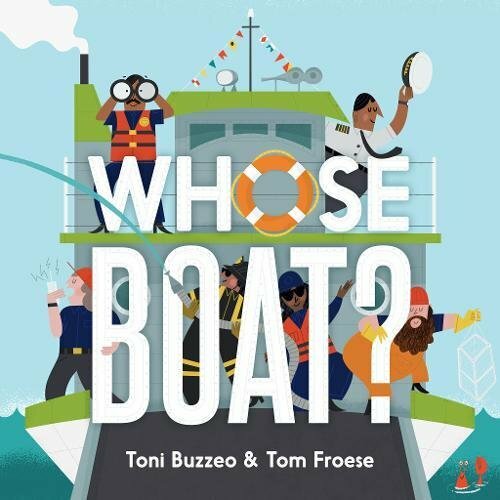 Our next book is Whose Boat? by Toni Buzzeo and illustrated by Tom Froese. The recommended ages are 2 to 4. This book shares an illustration of a boat and tells about the boat and its purpose and asks who boat it is. Then there is a flap to open that has the captain explain what he and the boat do. This book is great for the little ones who love transportation. The parts of the boats are also labeled in the illustrations. It is full of information about different types of boats. Our next two books explore different cities. They are recommended for ages 2 to 4. They are meant to give the child a tour of each city. The first is Hello, New York! 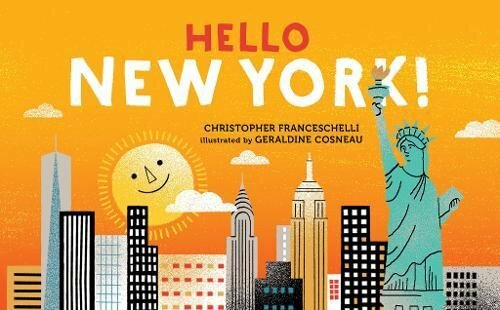 by Christopher Franceschelli and illustrated by Geraldine Cosneau. Inside the front cover there is a map of New York City that folds out of the book. Then the board book goes through different parts of the city with some words to describe the illustrations. It covers Times Square, Washington Square Park, Grand Central Terminal, New York Public Library, Metropolitan Museum of Art, Subway Station, Empire State Building, Chinawtown, Central Park, Apollo Theater, Staten Island Ferry, Brooklyn Bridge and One World Trade Center. The final pages fold out and/or up. The pictures are colorful and the words are simple. Be sure to check out our past posts on New York City! 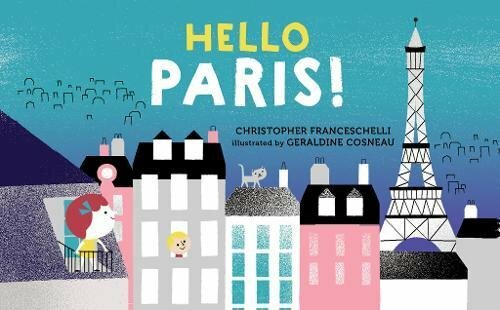 The next book is Hello, Paris! also by Christopher Franceschelli and illustrated by Geraldine Cosneau. This book has the same features as the previous one. It has the map and takes the reader on a tour of Paris. It includes Avenue Des Champs-Elysees, Boulevard Haussmann, the Louvre Museum, the River Seine, Metro, Montmartre, Notre-Dame Cathedral, Central Pompidou, Outdoor Market, Saint-Ouen Flea Market, Tuileries Garden, and Eiffel Tower. The last pages also fold out and up. The other pages are also cut when they there is a second page about the place so you can see a bit of the first page on the place. For more on Paris, be sure to check these posts out. Our next two books introduce various words to children. Each has words labeling the various parts of the illustrations. They remind me of Richard Scary books of my childhood. 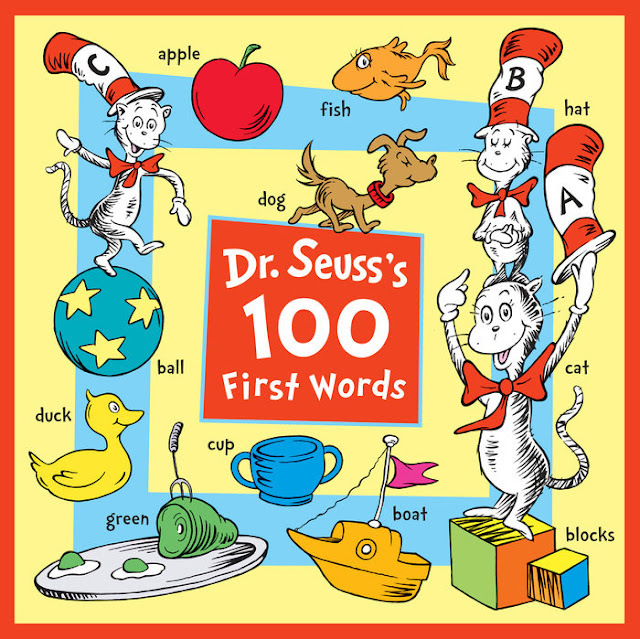 The first book is Dr. Seuss's 100 First Words by Dr. Seuss. It is recommended for ages 2 to 3. However it will also work for kids just learning to read since it has the various items labeled. The book has themes like Mealtime, Pet, Colors, and more! It will help a toddler increase his or her words quickly and I remember spending hours with books with labels to learn to read more words. It is colorful and fun in Dr. Seuss's manner. Be sure to check out our other Dr. Seuss posts. 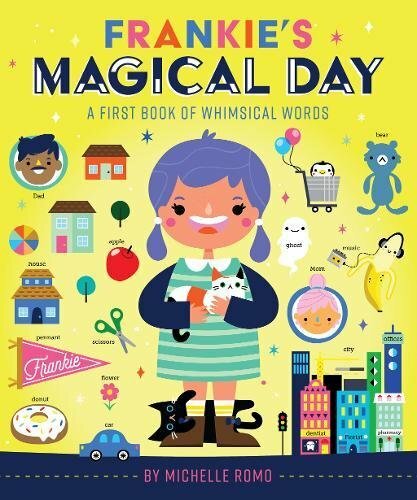 Our final board book is Frankie's Magical Day by Michelle Romo. When Frankie wakes up her day begins with a hug from a cat and getting dressed. This book follows Frankie through her day of getting up, going to the park as well as the shopping and more with her parents to going to bed and dreaming about her day. The illustrations are labeled as well, so there are many vocabulary words throughout the pages. The illustrations are fun and the words on the pages ask the reader to find things one each page. It will keep young ones active and looking at the various words. It is recommended for ages 2 to 4. 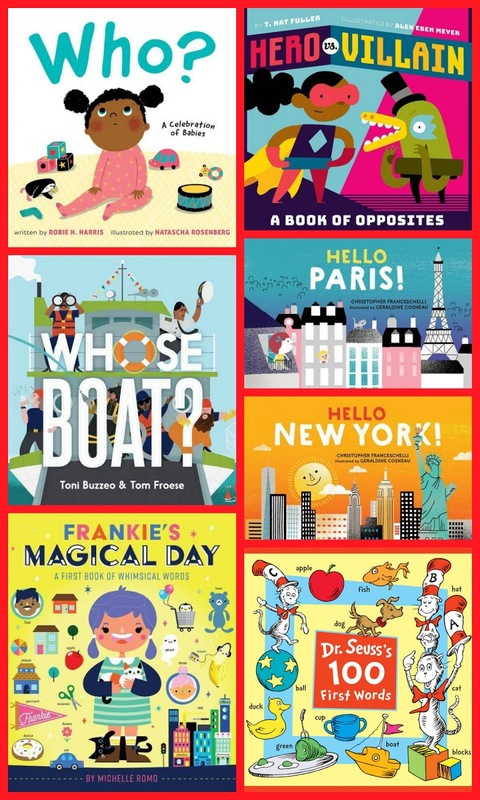 We have four fun picture books. The first is actually a pop-up book that introduces summer!! 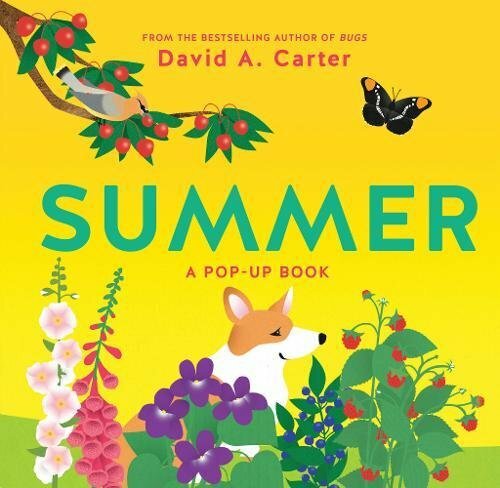 It is Summer: A Pop-Up Book by David A. Carter. Are you ready for summer? Is your child? This book is meant to introduce the upcoming season to 3 to 5 year-olds. It also has labeled illustrations. I love how it labels the various species of birds and bugs. The illustrations show a farm, a garden, and a creek. There is so much in this book with questions and information. It is very detail oriented and is fun with the various pop-ups. Often the pop-ups are trees, vines or flowers. It is the perfect book to read for the summer solstice! 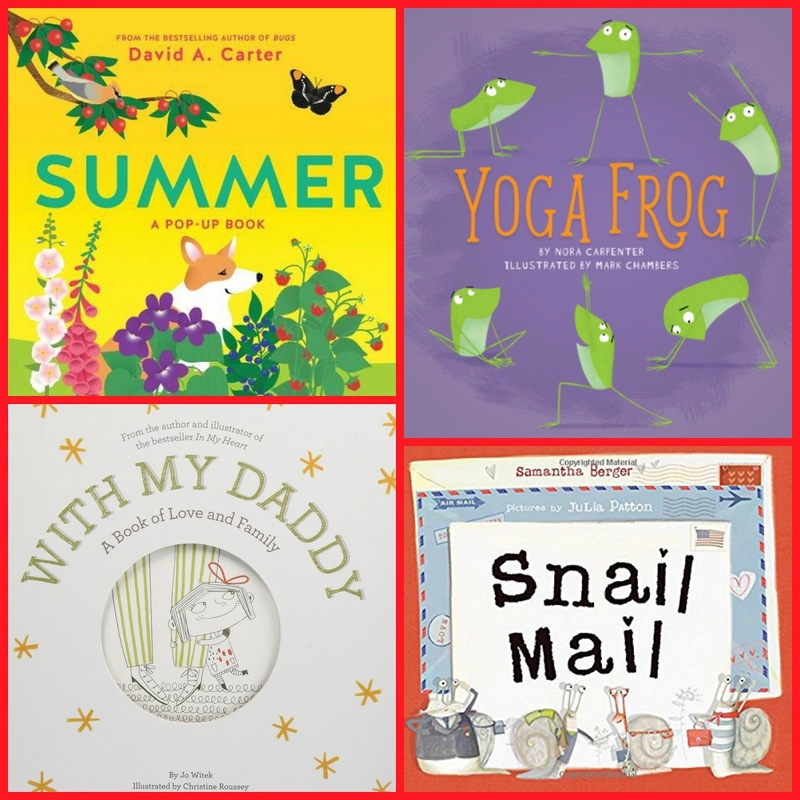 Check out these summertime books as well! Father's Day is coming up soon! Our next book is a perfect book to celebrate dads. 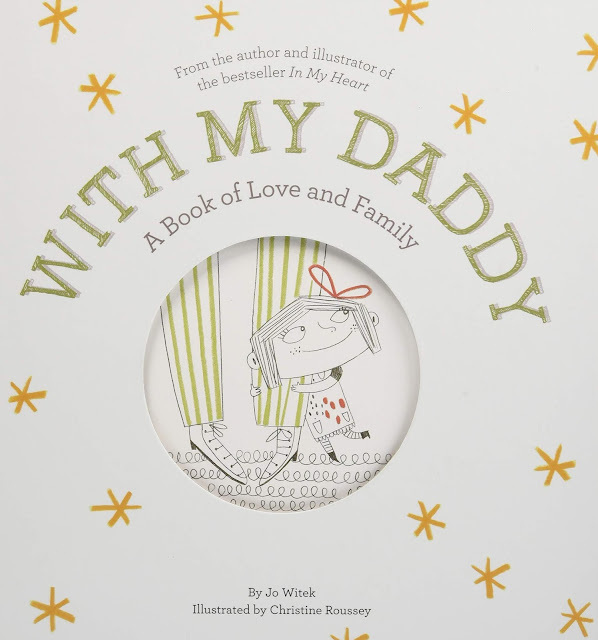 It is With My Daddy: A Book of Love and Family by Jo Witek and illustrated by Christine Rouseey. This book shares the love a young girl has for her father and the various emotions she has with her father. It shares how fun and safe she feels with her father. It has activities like hugs, dealing with monsters (and scary dogs), playing, bike riding, swimming, and even things like dealing with a temper tantrum, and bedtime. It shares the love and the well a girl feels safe in her father's arms. It is such a sweet book and the perfect book for a dad and daughter to read in the next couple of weeks. It is recommended for ages 2 to 4 or preschool and up. Be sure to check out our past posts for books about dads for Father's Day! 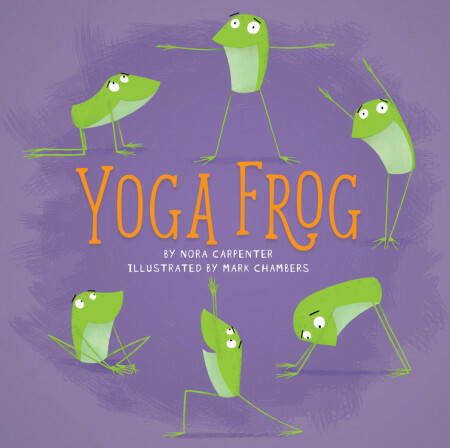 Our next book is Yoga Frog by Nora Carpenter and illustrated by Mark Chambers. This book shares various yoga stretches with a frog in the illustration. It is a fun way to try yoga with kids. It is recommended for ages 4 to 8. We actually used it the other day in the kindergarten class I work with to give them a brain break between lessons. They loved it!! With the illustrations there are also the name of the stretch and the movements to do for it. There is also a pull-out poster with the entire sequence in illustrations and names. The sequence of the book is meant to followed since it provides a warm-up and cool down if it is all done in the same order. What a fun book!! Be sure to check out some of our other yoga posts! We have all heard of snail mail, but what if the mail is actually delivered by snails? Can you imagine how long it would take for a letter to be delivered across the country? 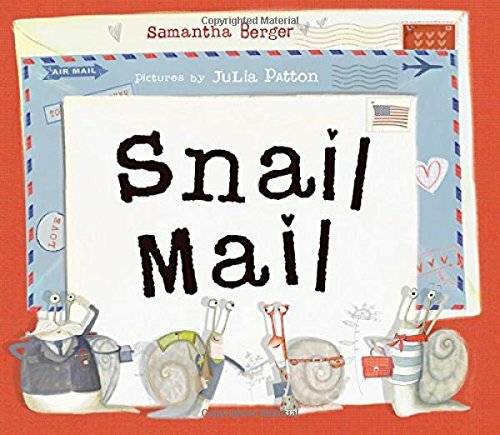 Our next book is Snail Mail by Samantha Berger and illustrated by Julia Patton. So this book assumes that it is delivered by snails and has a snail mail employee handbook that introduces some of the snails. It also has a girl who sends the boy she loves a handmade card and seals it with a kiss. Then she sent it snail mail across the country. Yes, there is even a map of the United States showing it going from the west coast to the east coast. She gives the envelope to the snails and they are off. It takes four for each letter since there is one for each corner. They go through all sorts of weather and conditions, but get the letter delivered. This book is fun and a great reminder that there is more than just e-mails and instant things. It also is nice to see something valuing a handwritten letter and reminding young kids about how fun it is to get one. It is recommended for ages 4 to 8 as well. So those are some new books for the younger kids. I hope you will check them out.